The US has started moving tanks to a storage facility in the Netherlands in a bid to “deter” Russia, amid the biggest NATO buildup in Europe since the Cold War. A total of 1,600 vehicles are due to be stored at a six-warehouse complex in the southeastern village of Eygelshoven, near the Belgian and German borders. The Eygelshoven facility was originally opened in 1985 during the Cold War, when it was used by US troops to practice drills in case of a possible Soviet attack. The National Defense Authorization Act (NDAA) for Fiscal Year 2017, which was approved by Congress on December 8 but has yet to be signed by Barack Obama, approved a $3.4 billion spending plan to boost European defenses. The Baltic states, as well as Poland, have said they have been greatly alarmed by the crisis in Ukraine and fear “Russian aggression” on their territories. “When visiting the Baltic states, I experienced this for myself. Standing there, near the Russian border, you could feel the tense atmosphere,” said General Tom Middendorp, the Dutch chief of defense. US President-elect Donald Trump has frequently said he would like to pursue better relations with Russia, and has expressed skepticism towards NATO, saying that European powers would have to contribute a bigger part of the budget if they wanted to continue relying on the alliance’s protection. But in spite of Trump’s election victory, NATO governments have continued to build up their forces in Europe. 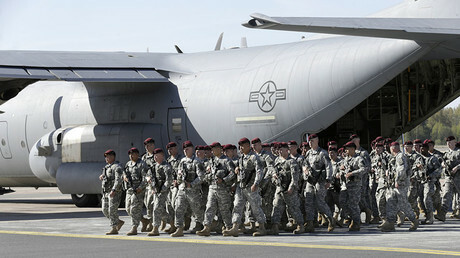 While the Dutch storage facility is far from the Russian border, on Wednesday Polish Defense Minister Antoni Macierewicz announced that 4,000 US troops would be deployed to the western town of Zagan in January. And back in November, the US military sent over 600 containers of ammunition to Germany, the largest single shipment in more than 20 years. In addition, NATO frequently stages large-scale military exercises in Eastern Europe, the most recent of which being the annual Iron Sword drills in Lithuania which involved almost 4,000 troops from 11 NATO countries. Previous Iron Sword exercises in 2015 and 2014 involved only 2,500 and 2,000 troops, respectively. But this was dwarfed by the Anaconda 2016 exercises held in Poland, which saw 31,000 personnel from 24 NATO and ‘partner’ countries taking part in war games over a ten-day period. Russian officials, meanwhile, have consistently warned that aggressive NATO maneuvers near Russian territory could undermine regional security. 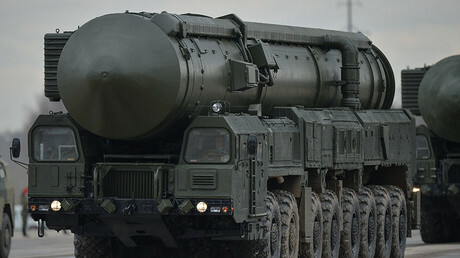 In response to the ongoing NATO activity, Russia and its ally Belarus have supplied the latest state-of-the-art weaponry and armaments to units stationed on their western border as well as launching military drills of their own. “NATO’s [systematic] efforts have been changing the very essence of the military security in the regions which are adjacent to the Russian border,” Russia’s Permanent Representative to NATO, Aleksandr Grushko, said in an interview to Rossiya-24 in October.